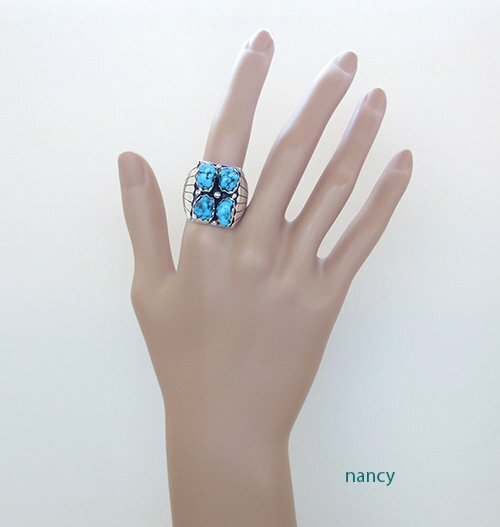 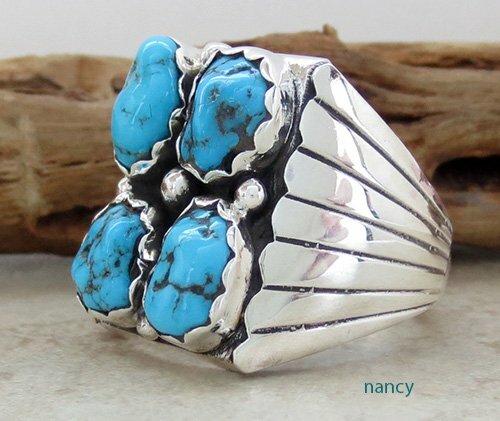 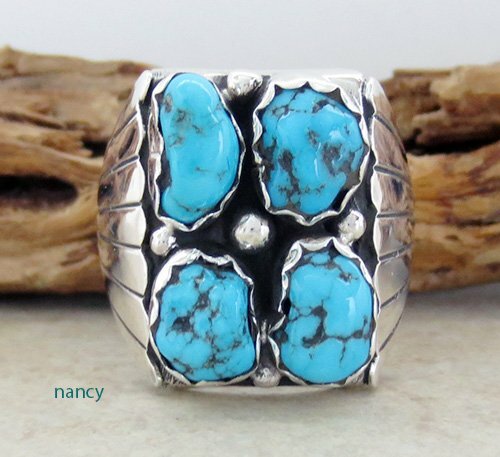 This classic ring was made by Navajo Artist Brenda Etsitty. 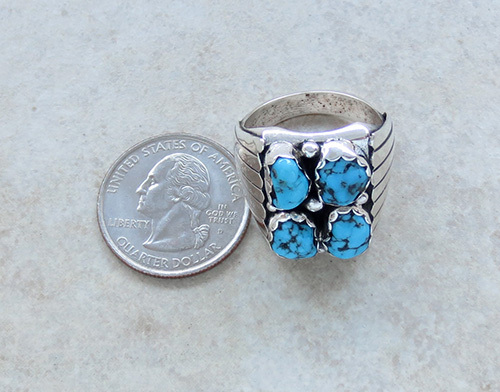 It's a size 10 3/4, suitable for a man or woman. 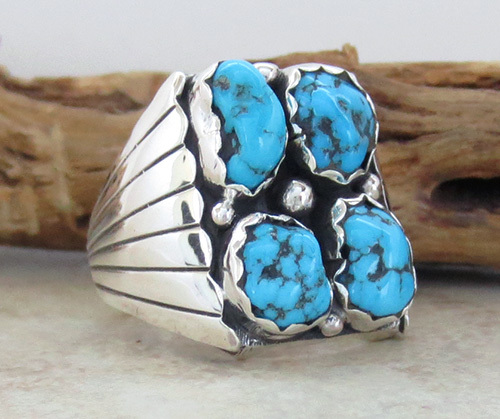 It has a 4 very blue turquoise nuggets each set in a scalloped bezel. 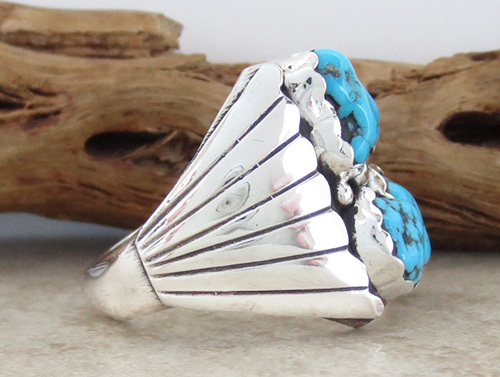 It has applied silver fan like pieces on either side of the shank. 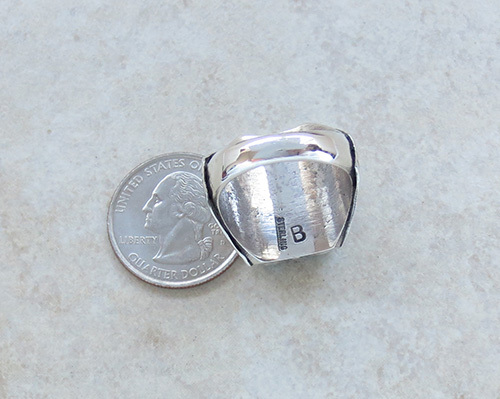 weight: 19.6 grams on mys scale.